Blake said there’s a possibility that Christina may win this season. Christina was impressed that she’s never heard this version of that song EVER! “The Voice” viewers will select which contestants will continue on for another week when two contestants will be eliminated in Tuesday’s episode. Monday night’s episode featured the TOP 12 artists performing for these votes that will create season 8’s TOP 10. Reba McEntire was the key advisers for this round and gave advice to the Top 12 she said that she never got as a child. Blake said Reba is a great adviser because everything she does, she does it well and is “a great human being.” Plus, all the artists were super-thrilled to work with her. Reba said the only person that she can compare Hannah to is Dolly Parton because she puts in her all into her performance. Coaches Comments: Pharrell reacted with “now they understand…now they see. The singing,the dancing.” He’s sure that people will go out and buy her records. Adam thinks not enough time is spent on how great of a singer she is. Coach Blake said Hannah set the bar so high tonight for the rest of the contestants tonight. Blake picked the song because it’s time for Corey to show a bad boy side. 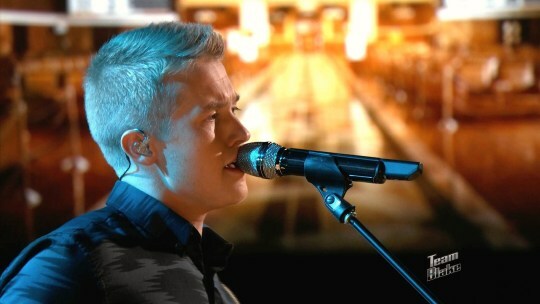 Reba advised Corey to keep his eyes open to connect and he has what Country needs today – sincerity. 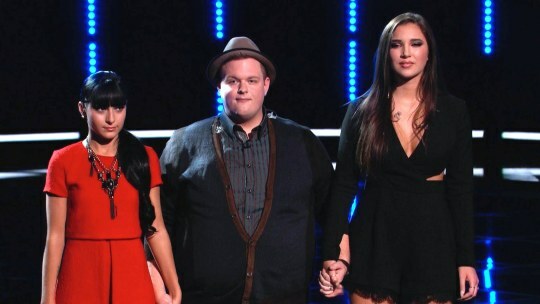 Coaches Comments: Christina called it another strong performance to capture “the girl vote.” Adam felt that Corey is almost at the place where he could be dangerous! 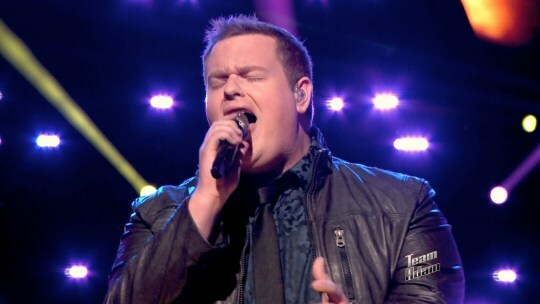 Coach Blake agreed with Adam and said Corey always delivers the lyric perfectly and he will be a threat to win the show. Reba asked Brian how would he feel if he lost faith. Brian said that’s why he’s connected with the song. He’s thinking of his wife when he’s singing the song. Coaches Comments: Former Coach Blake told him every time he gets on the stage they know it’s going to be good. Christina told Brian that he “is making great strides.” Coach Adam said singing Sting is hard and Brian did an amazing job with this challenging song. Reba advised “Nothing but radiance coming from your heart” and “everything that is emotional is what wins over.” Deanna said it’s about keeping her head above water. 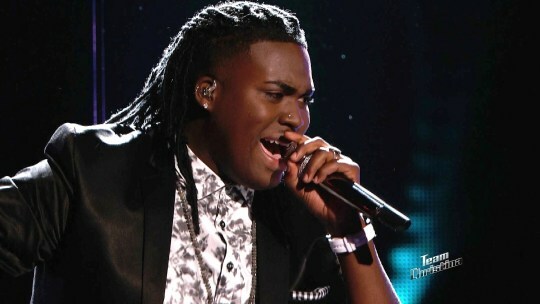 Coaches Comments: Blake said he couldn’t hear the beginning of the song but said it was a new Deanna with confidence. Christina agreed with Blake. Pharrell couldn’t believe Deanna was ever nervous. Coach Adam was glad Deanna had “Ah hah” moment when she realized the fans were loving her performance. Joshua said the song expresses his journey. Adam said Joshua sings too inside and wants him to sing out! Reba complimented his sparkling eyes and noted that his guitar is his security blanket. Reba said he has more confidence without the guitar. Reba said she loves when women sing male songs. She told India she had her “hook, line, sinker.” Reba advised the grittiness is a little dirty. India wants to show America this “new thing” that she can do. Coaches Comments: Pharrell said she’s like a professional and it felt like it was a concert. Adam pointed-out that India does have fans and it’s a validation to her talent. Blake was ready to take India to church. “It’s hard to go from zero to one hundred,” said Blake. Coach Christina noted that India succeeded with connecting with the audience. Christina picked this song to challenge Rob’s voice. Reba advised him to put his signature on the song. 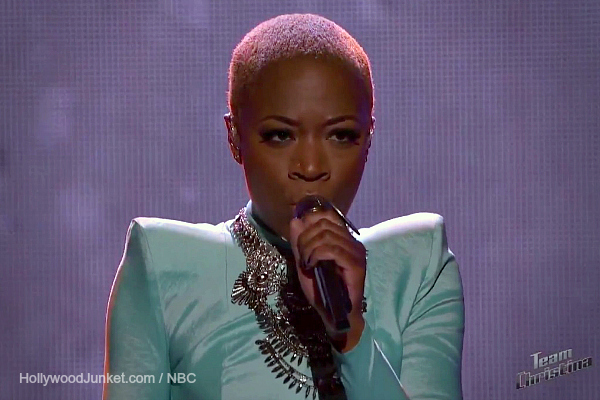 Coaches Comments: Pharrell called it a “masterful performance.” Adam said Rob pulled ahead in the race right now Coach Christina said that’s the kind of performance that she keeps coming back to “The Voice” for. She said she saw him living up there, and that’s what being a performer is all about. 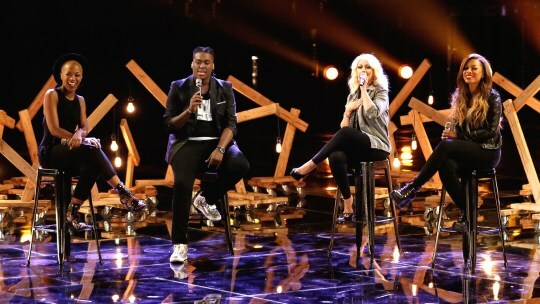 “Different flavors come together in Kimberly’s voice” said Christina. Reba loved Kimberly’s style. Christina also said Kimberly is like the house of the rising sun and she’s on the rise. 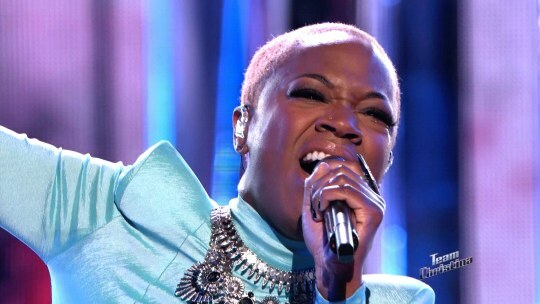 Coaches Comments: Kimberly finished to a standing ovations from coaches and audience who couldn’t stop screaming. Pharrell who was still standing, said there are no words for what she just did. Adam said “What, what….what?” Blake said there’s a possibility that Christina may win this season. Christina was impressed that she’s never heard this version of that song EVER! Pharrell wanted Mia to crack glass with a particular note and said he can see her as a jazz, blues artists. Coaches Comments: Adam was happy with her song choice. Blake loves how inventive Mia is and the “dolphin cry!” Christina credited Mia for being an inventive singer as well and hit the “stratosphere area” of her voice. Coach Pharrell was happy and “super-proud”. She “super-seeded” he said. Reba and Swayer share the same sign on Aries. He loved the message of “Imagine”. Reba credited him with “a powerful voice” and advised him to smile because of the meaning of the song. Pharrell told Sawyer to light-up the audience. Coaches Comments: one of Adam’s favorite songs, he said it’s not about his voice but the way that Sawyer as a 16 year old’s voice fills the room, just transcends any coaching. Blake was taken-back but said everything that Sawyer does, it seems right (even mistakes)! Christina said Sawyer has a natural gift. 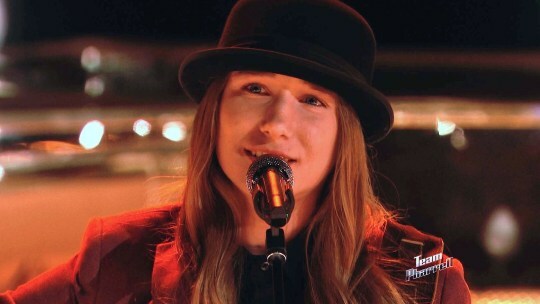 Coach Pharrell said when that note didn’t come out, he was relieved to see Sawyer singing his way out of the situation which turned out for the better. Pharrell saved Koryn last week. 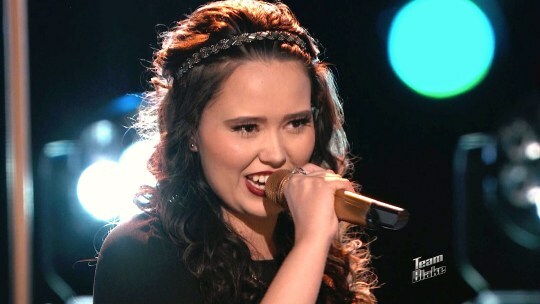 Koryn picked the song “Stronger” by Kelly Clarkson who is Reba’s daughter-in-law! Oh, Koryn felt the pressure. Reba said Kelly will be pleased by the way Koryn does her song. Coaches Comments: Blake said “welcome to the Top 10” Christina said every time she comes out she gets more confident and loved how she re-arranged the song and she was Tina Turner. Coach Pharrell was in such awe! He called her inspiring. 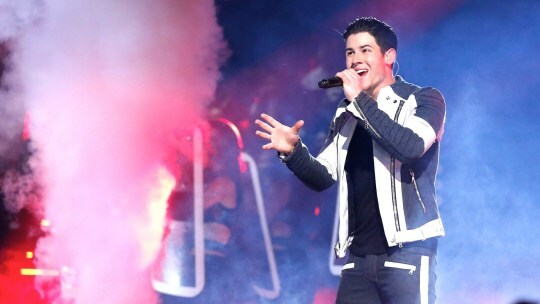 After Nick Jonas performed, the first two artists announced to be save by America’s votes were Kimberly Nichole (Team Christina), Sawyer Fredericks (Team Pharrell). The next artist to be saved was Meghan Linsey (Team Blake). 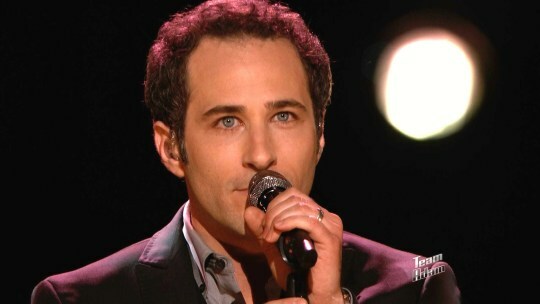 Joshua Davis from Team Adam was saved. From Team Christina, India Carney made it to the Top 10, as well as Hannah Kirby (Team Blake). 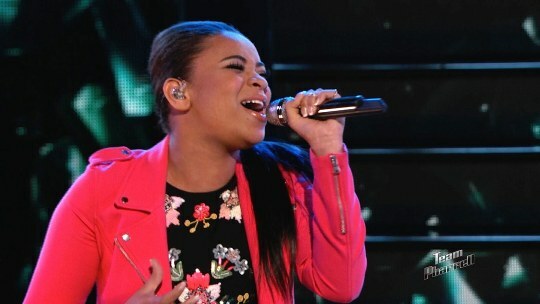 After Team Christina performed “Hotel California”, Koryn Hawthrone (Team Pharrell) got enough of America’s votes to move on, as well as Rob Taylor (Team Christina). 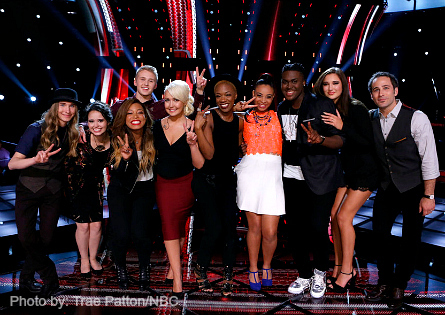 With that, ALL of Team Christina are in the Top 10! Also voted to stay was Corey Kent White. The lowest number of votes fell to Mia Z, Deanna Johnson, Brian Johnson making them the bottom three. Each of the bottom three artists had to perform one solo song. Pharrell and Adam rallied for their artists to sway Twitter voters to cast their tweets for their artists for the “Instant Save” where the contestant with the most tweets, wins. Adam said it’s crazy that Brian is singing to save his life to stay in the game because he’s so talented, and Deanna had to have many “confidence building” talks in order to make it as far as she has on “The Voice”. Pharrell said Mia Z can sing blues, jazz, and soul at 16 years old. She also topped the iTunes charts. To keep things in perspective, Adam reminded the artists that they still beat-out thousands of other singers to even be on “The Voice”. He said not to perceive this as failure , but as a stair case in the journey. The INSTANT SAVE went to Deanna Johnson. (l-r): : Sawyer Fredericks, Hannah Kirby, India Carney, Corey Kent White, Meghan Linsey, Kimberly Nichole, Koryn Hawthorne, Rob Taylor, Deanna Johnson, Joshua Davis.